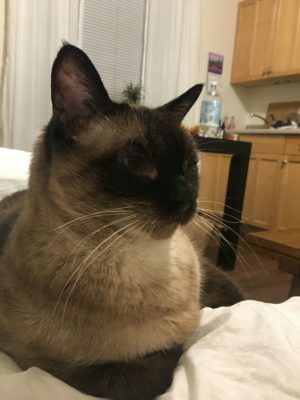 Ming is an extremely friendly, loving, mellow Siamese cat. I moved into a really small apartment and I’m not allowed to gave cats. I have two dogs and he has lived with another cat in the past. Ming is the sweetest boy and it breaks my heart to give him up.